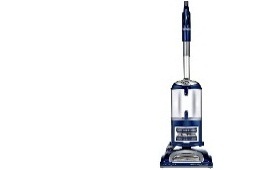 Shark Navigator vs Rotator: which of these two vacuums is better? Both are made by the same manufacturer, and have a lot in common (design, vacuuming power, portability, etc). To find the winner, we decided to write a vacuum vs vacuum article: the Shark Navigator NV360 will represent Shark Navigator class, and the Shark Rotator NV752 and rotator will represent rotator class. Which will would the battle? Shark Navigator vs Rotator – Which Is Better? 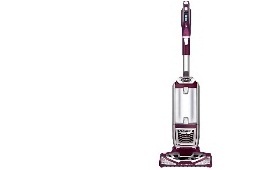 Shark Navigator vs Rotator: Which Vacuum Should You Buy? It depends on what you value. The NV752 is straight out better, more sophisticated and efficient. It comes with Motorized Pet brush, Fingertip Controls, LED lights (both on the nozzle and on vacuum), and so forth. However, all these things make it more expensive. Shark Navigator is, on the other hand, much lighter and easier to control. It is also less expensive than the Rotator. In short, if your budget allows it, NV752 is overall a better option. Shark Navigator Lift-Away Deluxe NV360 features standard Shark Lift-Away design (will explain this later), HEPA filter in combination with Anti-Allergen Seal Technology, and Swivel steering for simple navigation. This vacuum is quiet, cost-effective and durable, considering its cost. It comes with a lot of attachments, such as the Air-Driven pet brush, which helps this vacuum be more efficient pet hair collector. Comes with many useful attachments. 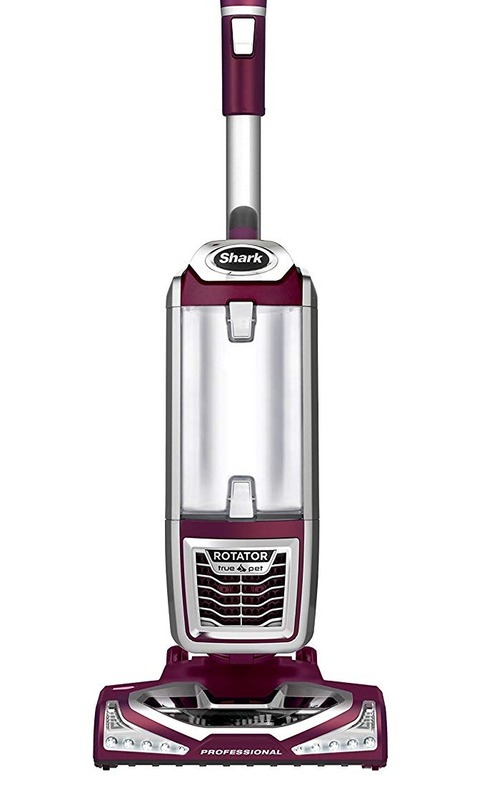 Shark Navigator NV360 is ideal for people who want smaller and lighter vacuum, but still powerful enough to clean their carpets and hard floors. It comes with many useful attachments and is simple to clean and maintain. Shark Rotator Powered Lift-Away Pro NV752 features even more modifying parts, the best one being the TruePet Motorized Brush. You also receive a tool for cleaning the TruePet brush (Pet-Multi Tool). NV752 features LED lights, which you can use to illuminate dark spots in your home. And thanks to the fingertip controls, you can conveniently switch between the modes as you vacuum. Included TruePet brush and cleaning kit. Harder to control (it is a pretty powerful vacuum). If you are a pet owner or are just interested in purchasing a valuable, powerful vacuum, Shark Rotator Vacuum is an excellent choice. It is convenient, stylish and efficient. It is a bit heavier and a little bit difficult to control than the Navigator, but the Swivel Steering Technology will help you with control. Though different, Navigator and Rotator have a lot of things in common. In this section, we will examine the most important features of these vacuums, and discuss what makes them unique. Though they look similar, Rotator And Navigator have some design differences. The NV 752 os 13.2 x 11.9 x 45 inches big, and weighs15.4 pounds. NV 360 is 15 x 11.4 x 45.5 inches big but weighs two and a half pounds less. In general, Navigators are more lightweight and more straightforward to maneuver. Its cord is 25 feet long, while the Shark Rotator NV752 has 30 ft long cord. Both of these vacuums are Shark’s Power Lift-Away vacuums and have the same filtration system, they use the same cyclonic technology and same 120-watt motor. Upright mode – A mode in which the vacuum cleaner and canister are connected (standard cleaning mode). Power Lift-Away mode – With a click of a button the canister is separated from the vacuum (this mode is used for cleaning hard to get spots, especially beneath furniture and around corners). Above Floor mode – Once you detach the canister and modify the vacuum, you can quickly clean stairs or upholstery. Both Navigator And Rotator feature Shark’s Swivel Steering technology, which allows more natural and more comfortable maneuverability. Thanks to this technology, the vacuum’s head rotate quite liberally, which means that the vacuum cleaner will clean much more efficiently around the corners and objects. Due to its more compact design, Shark Navigator (not just the NV360, but in general) is more straightforward to use. However, the vacuuming head is almost always shorter than in Rotators; in essence, you sacrifice space coverage for maneuverability. But in general, Navigators beath Rotators in navigation. We already said that both vacuums come with a lot of attachments. Both feature HEPA filters, crevice tool, pet brush, and other tools. The most significant difference is in the type of pet brush they use: the Navigator comes with Air-Driven pet brush, and Rotator features PetHair motorized brush. While both of these brush help vacuum clean pet hair, the PetHair motorized brush is much more efficient. However, you will have to take good care of it, and replace it (eventually), which increases your maintenance cost. The general rule says that Shark Rotator parts are more advanced and sophisticated, which makes sense since the Rotators depend more on their attachments. Shark Rotator 752 also features LED lights. In fact, most Rotators have some LED lights, while Navigators don’t use them. The vacuum does look better with LED lights (elegant and futuristic), and the lights can prove to be very useful, especially if you are vacuuming in dark room. Furthermore, Rotator NV752 features fingertip controls, which allow you to switch between the surfaces smoothly and conveniently. Navigator does have a larger canister and has at least that going for it. As we said, Navigators And Rotators use the same vacuuming technology and have the corresponding rollers. However, they aren’t the same. Navigator is quieter and performs better on carpets (both low and high carpet). Rotator, on the other hand, is better for vacuuming hardwood floors and pet hair, thanks to the PetHair Motorized brush. Both are hypoallergenic and reasonably quiet and vacuum very efficiently if maintained adequately. If interested, you can check this video to see what’s inside the Shark vacuum. There aren't any major differences in the way Rotators and Navigators vacuum. Navigator is a bit more efficient on carpets, but the Rotator is more efficient on hard floors. Due to attachments, Rotator is more expensive to maintain. Also, you get almost the same vacuuming performance, for a lower price if you get the Navigator. Rotator comes with more attachments, which means that you can modify the vacuum depending on the mode you intend to use. Navigators are often quieter than the Rotators. Rotator comes with some cool features (such as LED lights and fingertip controls), which don't necessarily make it better but do make it more advanced and convenient. Navigator is more compact and easier to maneuver. Also, Navigators are often lighter than Rotators. One the one hand, you have the cost-effective NV360, which is one of the most notable Shark vacuums, a classic. On the other hand, you have more expensive, but also more advanced Nv752, which sleeker look and more advanced features. Which should you buy? Well, it depends on your preferences. Generally, Shark Rotator Power Lift-Away is, overall, a better vacuum, since it does deliver excellent vacuuming performance and a couple of unique features. However, if you don’t care about the LED lights, fingertip controls, or if you don’t have pets, go with Shark Navigator DLX. Our research suggests that Rotator wins, but that doesn’t mean that the Navigator is terrible. In fact, it is a more valuable option, financially speaking. But, if you want extra attachments, and can afford the price and the maintenance of Rotator, go for it, especially if have pets. As always, if you decide to buy one of these vacuums, make sure that go with the one that is best for you, not the one that is better in this or that. Whichever you go for, clean it and maintain properly, and the Shark will do the rest.